Worried about the GMAT? Want to get into a top graduate business school? Not scoring as well as you would like? 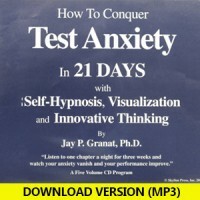 I have had many bright clients who have expressed great anxiety about this test. Here are a few tips to help you raise your score. If you are not scoring high enough, consider a prep class, a coach or a tutor. A good teacher can often help to clarify issues, topics and questions which you may not understand. Once you get some clarity, it will feel like a light bulb has gone on in your head. Do lots and lots of practice tests. The practice tests are good indicators or where you are going to score. Practice what you are weakest at the most. There is sometimes a tendency to spend too much time on the parts of the exam you do well and like the most. This is a big mistake which can cost you valuable points. If you are doing well on practice exams and poorly on the real exams, you may suffer from test anxiety. Symptoms can include nausea, diarrhea, racing heart, feeling week, difficulty concentrating and feelings of panic. Obviously, it is hard to perform well when you feel this way. If you have these symptoms and this is the case, you may want to seek out counseling, coaching or learn techniques to help you stay calm, confident, focused and optimistic prior to the exam, on the test day and in the exam room. Meditation, self-hypnosis, visualization and confidence building methods can be quite useful for people who are nervous about the GMAT and who want to overcome and conquer their test anxiety. Even bright students can perform poorly on exams due to anxiety or significant nervousness. However, once they learn how to get into the right frame of mind, they can perform better. Dr. Granat can be reached by Skype video chat; send him an email to arrange meeting time.